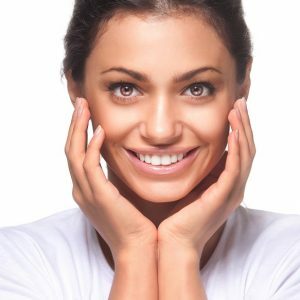 Dental Bonding from Rye Dentist in NY - Doctor. Fu. Tooth restorations come in different shapes and sizes. For patients who need a speedy but long-lasting repair, dental bonding is an excellent choice. As a restoration procedure, dental bonding is faster and less costly than porcelain veneers or crowns and is often the top choice for patients who want to make small cosmetic improvements to their teeth at Chester Hill Dentistry in Rye, NY, at the experienced hands of Dr. Chi Fu. Dental bonding is an excellent and versatile restoration choice for patients who have dental anxiety. A less-invasive dental procedure than crowns or veneers, dental bonding offers the same excellent smile makeover results for minor cosmetic repairs. Sometimes referred to as cosmetic tooth bonding, dental bonding can usually be completed in one visit to your Chester Hill dentist. While this procedure is customized to each patient, it does not require the custom work of a dental laboratory, saving both time and cost. It is important to keep in mind that while bonding is effective and long-lasting when cared for properly, this treatment does not typically last as long as other restorations and is less resistant to stains. The bonding procedure usually requires between 30 and 60 minutes to complete for each tooth. To begin, Dr. Fu will determine exactly what color your teeth are so that he can select a resin that will blend with your tooth enamel to ensure a natural-looking repair. Once this determination is made, your Westchester, NY, dentist will prepare the tooth so the bonding material will adhere more easily. The preparation of the tooth involves slightly roughening the surface of the affected tooth and immediately applying a liquid conditioner. In the dental bonding restoration process, there is typically very little removal of the tooth enamel needed, compared to veneers and crowns. When the tooth is ready, the customized tooth-colored resin is bonded to the problem tooth and cured in place with an ultraviolet light. To ensure a comfortable fit and natural appearance, the resin is carefully shaped and sculpted to match your other teeth in size and shape. The finishing touch is to polish the resin for an exceptional-looking smile. After the dental bonding procedure is complete, your Chester Hill dentist will check your bite to make sure the repair is comfortable and so that teeth do not rub together unnaturally. Ideal for the patient on a budget. Provides a new, natural-looking smile immediately. Can last for a decade before needing touched up or replaced. 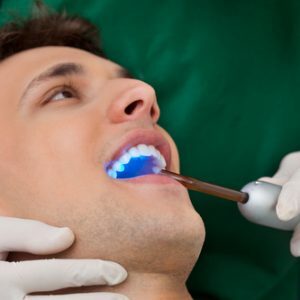 Many Chester Hill Dentistry patients are surprised to discover that dental bonding can alleviate them of the dental complaint they have had for a long time. If you have been self-conscious about an element of your smile, like short or uneven teeth, dental bonding may be an option to give you the smile you’ve always wanted. Dr. Fu will provide recommendations for all the appropriate cosmetic or restorative dentistry options for your teeth. Together, you can make the right choice for your oral health needs. Contact our office to schedule an appointment. We proudly serve the residents of Rye, Westchester, Rye Brook, Port Chester, and surrounding areas, including Greenwich, CT.